In true Spa-Francorchamps fashion, Friday’s qualifying for this round of the FIA Formula 2 championship was a washout. But that didn’t stop Charles Leclerc from collecting his seventh pole position of the season, proving that Prema have magnificent one lap pace no matter what the conditions are. It was a top ten starting position for all three championship contenders, ensuring that they would all be up there on Saturday. After adding Nyck de Vries to their line-up, Racing Engineering had one of their best qualifying performances all season, with both of their drivers making it into top ten as well. 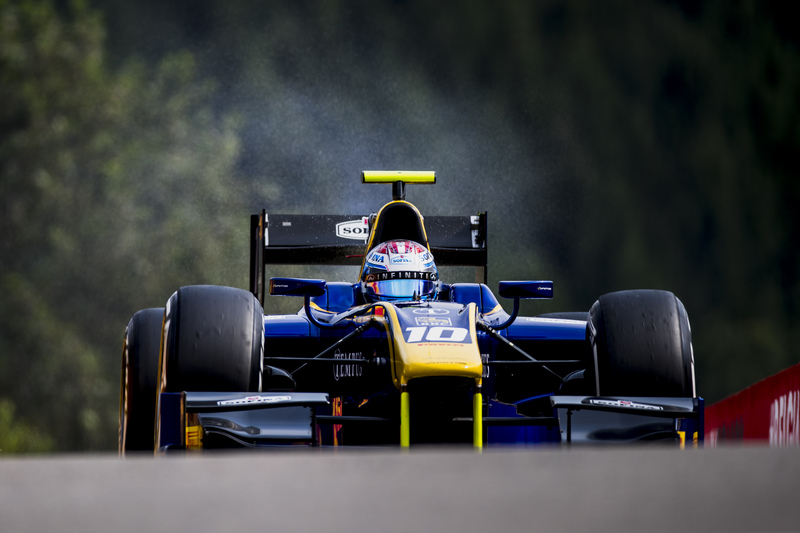 Before the race even started it was disappointment for DAMS’ Nicholas Latifi, who, after securing his first front row start in Formula 2 and out qualifying his teammate, was forced to the pit lane, and ultimately failed to get his car going at all. DAMS team boss Francois Sicard would later cite a broken valve as the cause of his woes. It was bitterly frustrating for the Canadian who has been having an outstanding season so far. With the DAMS driver missing, it was a frenetic opening lap in Saturday’s feature race. Leclerc only just managed to fend off his main championship rival, Oliver Rowland, after a poor start, and their fellow championship contender Artem Markelov made up four places almost immediately to begin lap 2 in fifth place. There were cars making contact up and down the field, most notably between the brand new Racing Engineering teammates, with debris littering the track, and damage for many of the drivers. It was ART’s Nobuharu Matsushita that brought out the Virtual Safety Car after he stalled on the grid. After racing resumed on lap 2, Leclerc got to work with putting distance between himself and the second placed Rowland, his Prema machinery running almost a second a lap faster than the DAMS. Russian Time’s Luca Ghiotto was proving that he could be just as aggressive a driver as his teammate as he took third place from Antonio Fuoco, and it was the Russian team’s cars who were making up the most ground, steadily cutting through the field. Rowland and DAMS attempted the undercut on lap 7, but few of the other front runners followed suit, and when Leclerc made his stop on lap 11 and came out ahead, it was clear that the French team had lost the strategy game. But the British driver did not give up his chase easily. He put on a real display of attacking driving, particularly his fantastic overtake on Norman Nato. However, his pace was simply no match for Leclerc’s, who was speeding away in a league of his own. It was Russian Time who called their strategy perfectly, aided by Markelov’s uncanny ability to manage his tyres. When he pitted on lap 16 of the twenty-five lap race and came out in fifth place, his penchant for aggressive driving and fresher tyres made for a killer combination as he tore through the competition. It was déjà vu when the Russian came up against Rowland in his pursuit of second place. In a move reminiscent of their clash in Hungary, Markelov had more success this time when he overtook Rowland around the outside at the Bus Stop, in one of the most thrilling moments of the race which saw him take second place by less than a tenth of a second. The second and third placed drivers in the championship had to be content with letting the dominant Leclerc stand upon the top step of the podium as he finished an eye watering twenty-six seconds ahead of the field. But the drama didn’t stop at the chequered flag. Late on Saturday night, news came that both Leclerc and Rowland had been disqualified from the feature race for the same technical infringement – excessive wear to the underfloor plank of their cars. The title rivals were therefore sent to the back of the grid for the sprint race on Sunday while Markelov inherited the race win and his teammate Ghiotto found himself in second. 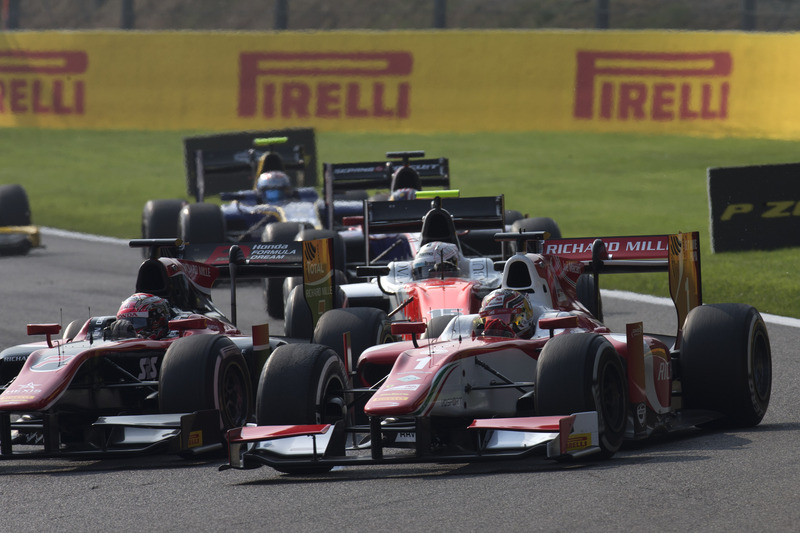 It also meant a second podium of the season for Prema’s Antonio Fuoco, and an even better result for new Racing Engineering teammates Gustav Malja and Nyck de Vries who took fourth and fifth place. Reverse grid pole was given to Norman Nato, just behind Robert Merhi and Sergio Sette Camara, a welcome promotion for two drivers who scored their first points of the season. Trident’s Santino Ferrucci and Campos Racing’s Robert Visoiu were promoted to the final points paying positions as well. There was much anticipation surrounding Sunday’s sprint race with the grid shaken up and several of the frontrunners starting from the grid, and as ever, Formula 2 did not disappoint. 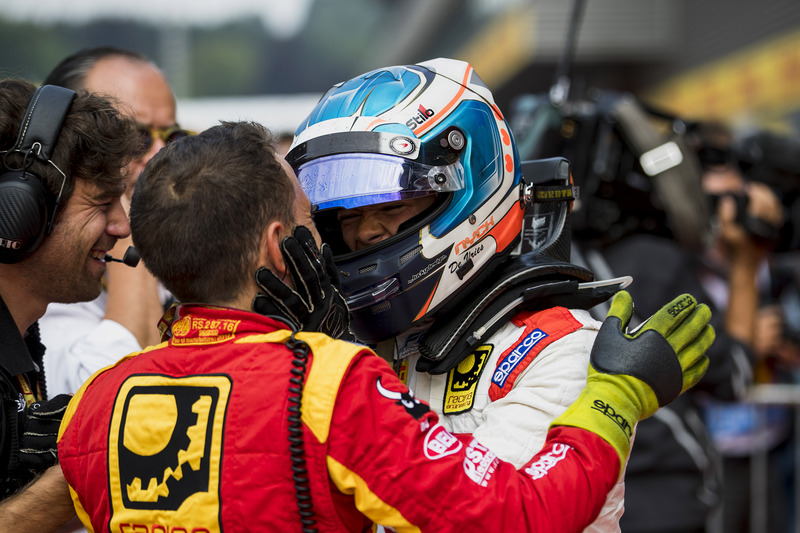 It was a blistering start from MP Motorsport’s Sergio Sette Camara, who immediately improved from third to first, putting the more experienced Merhi and Nato behind him. 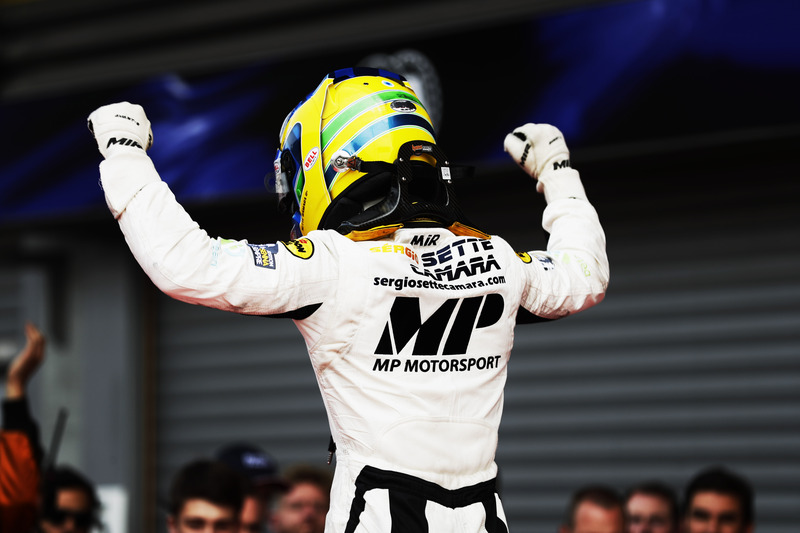 The Circuit de Spa-Francorchamps was proving to be something of a dream track for the young Brazilian who had not scored points prior to this weekend. As expected, both Leclerc and Rowland were quickly making up ground, with the Yorkshireman gaining a one place advantage over his rival after Leclerc ran off the road early on lap 1. The DAMS driver was up to twelfth place by the end of the first lap, with Leclerc powering past Matsushita on the inside up Eau Rouge to take thirteenth place. Despite fierce battling between Rowland and Leclerc, the Brit couldn’t keep him behind for long, and pretty soon the Ferrari junior driver was putting cars between his nearest title rival. In just a handful of laps he was back into the points, a brilliant recovery for the back row of the grid. But he wasn’t quite finished yet. Leclerc ran into some trouble when trying to pass his teammate Fuoco and the promoted race winner from the previous day, Markelov. Ultimately, he found a way past both of them as Markelov began to fade, dropping back, and eventually retiring with a suspected engine issue on lap 13. It was Matsushita’s nasty crash at Raidillon on lap 15 that sealed the result of the race. The Japanese driver thankfully walked away unharmed, but the damage from his crash meant that the race finished under safety car conditions and Sergio Sette Camara held on to score his first win in single seater racing. And it was a well deserved victory too after such an impressive start and withstanding pressure from de Vries for the duration of the eighteen lap race. An improvement of fourteen places was the best Leclerc could do, though it easily could have been more had the safety car not been deployed. DAMS teammates Rowland and Latifi also recovered from their poor starting positions, coming home in eighth and ninth, the Canadian unlucky to finish just outside of the points. It could have been a very different weekend for all three drivers had they not found themselves on the wrong side of misfortune. 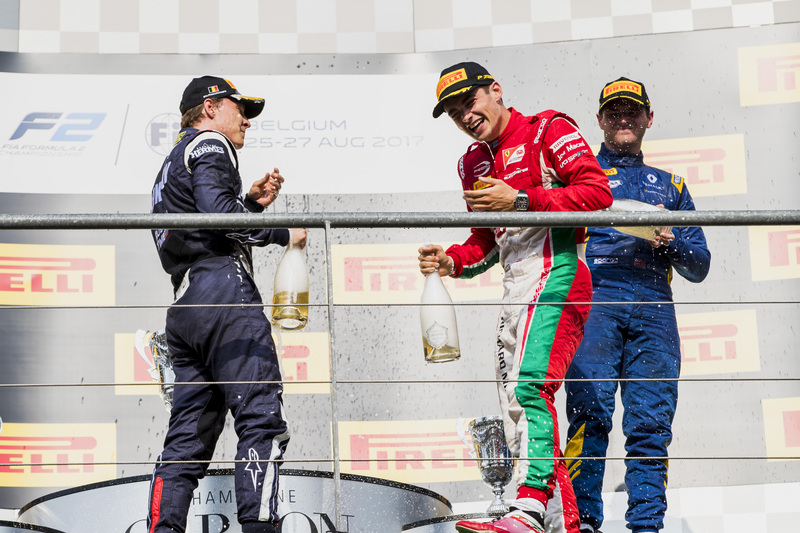 The trio’s nearest competitors, teammates Ghiotto and Markelov tried their hardest to capitalise on their hard luck, and the former’s double podium promoting him to fourth in the drivers’ standings ahead of Latifi. After such a disappointing season before the break, Racing Engineering seem to be recovering some of the form we expected from them at the start of the season, with solid points finishes from both their drivers. Whilst his teammate was grabbing the headlines once again – though not for all of the right reasons – Antonio Fuoco had his second best weekend of the season with a decent qualifying performance and two points finishes. It still isn’t quite the superhuman feats of Leclerc, but it does prove that his early season struggles may have been something of an adjustment period. And the Italian is beginning to look more like the title challenger we saw in GP3 last year. Thanks in part to the double disqualification from the feature race, the points situation as we head to Monza in a week’s time is much the same as it was coming to Spa, with Leclerc leading by fifty-nine points. Though now Rowland is just nine points ahead of Markelov after the Russian’s stunning drive on Saturday. Prema and Leclerc’s pace still reigns supreme, and around the team’s home track, the Autodromo Nazionale Monza is the last place anyone should underestimate them.